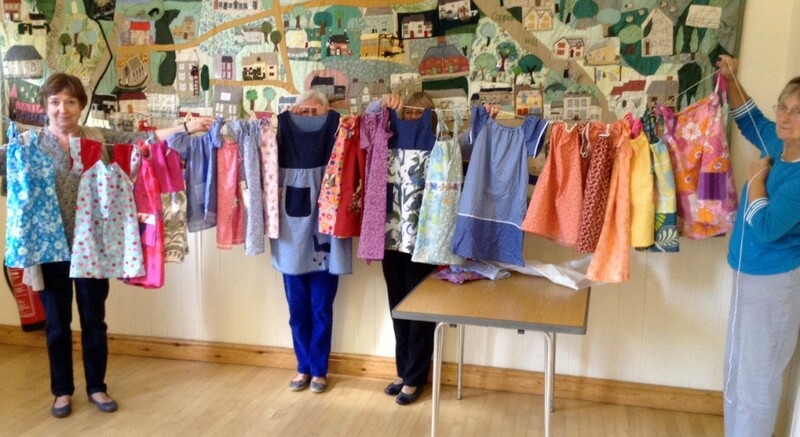 Today we counted the garments we have made for Dress a Girl. We have made 21 dresses and 3 pairs of shorts – see the dresses on the washing line below. Many have a crocheted bear in the pocket, made by Sue Collins. We have also started making plans for out Skills Share weekend on November 7th and 8th. Kath is going to coordinate the offerings with Sue Kerton and draw up a plan. Outsiders are welcome at the weekend but we will ask them to pay £5 a session, to go to one of our charities. When we have a grand plan I will put it on the website under Upcoming Events.